Keywords: Balance, assistive devices, locomotion, community mobility, motor control. Assistive mobility devices, such as canes, crutches, or walkers, continue to grow in popularity as an approach to maintain and maximize ‘safe mobility’ among individuals with mobility restrictions. The rollator (or 'four-wheeled walker') is a mobility aid commonly used to facilitate balance and mobility for individuals with cardiorespiratory, musculoskeletal, or neurological deficits. Despite its popularity, there are also reports of adverse effects related to walker use linked to increased fall risks. Studies examining the effectiveness and consequences of rollator use have employed standard laboratory-based measurement methods that rely on performing specific tasks within a short time period and under controlled conditions. These lab-based assessment methods are potentially limited in generalizability to mobility in the everyday context. 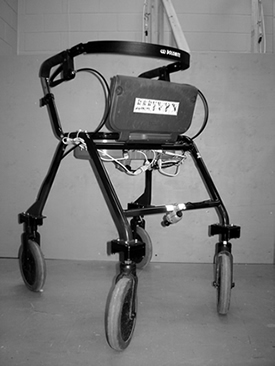 To address the lack of tools available, an instrumented rolling walker (iWalker) was developed as an ambulatory measurement tool applicable to the assessment of balance outside of the lab or clinic for assistive device users. The initial development and evaluation goals characterized the contribution of the upper limbs in maintaining balance in standard standing and walking tasks in older adults who regularly used rollators. The main findings from these studies were that the upper limbs play an important role in maintaining balance, particularly in the medial-lateral plane, and can compensate for lower limb deficits or constraints. Pilot studies assessed the feasibility and utility of assessing in-patients recovering from neurological injury (e.g., stroke, traumatic brain injury). 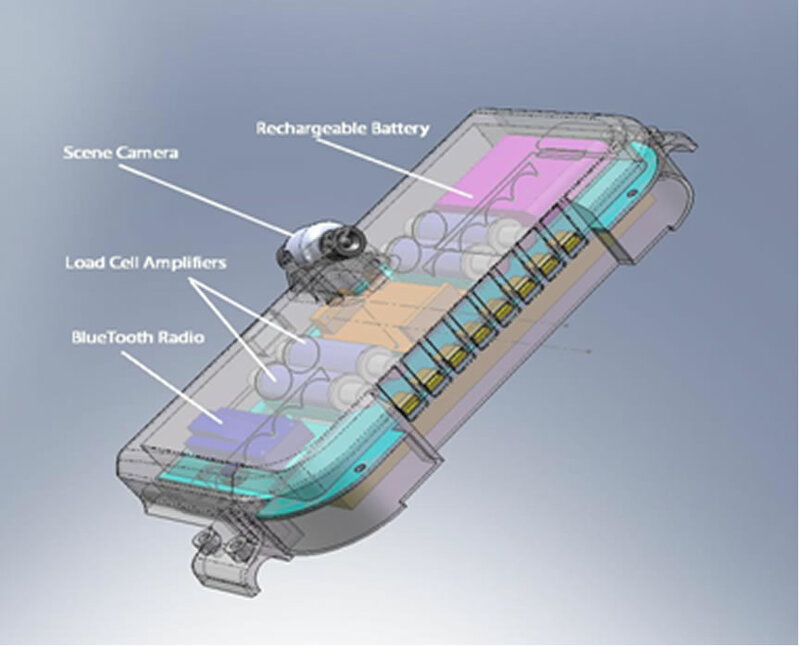 In this study, we found that users demonstrated repeated incidents of device collisions with the environment, problems manoeuvring, and stronger walker dependency under specific situations.